Sipma Electric, Inc. works on all types of remodels and upgrades for residential homes and personal property. Whatever the need, Sipma Electric, Inc. will work with you from the beginning to end on your electrical projects. 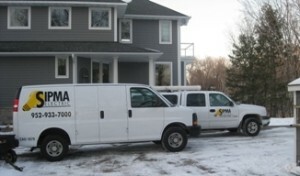 Whether you need a whole house rewired, circuit upgrade or just an outlet installed, Sipma Electric, Inc. is ready to serve you in Minnetonka, Eden Prairie, Excelsior and across the Minneapolis area. With our electrical expertise, we will make sure you meet all the state certifications every time. Contact us today to ensure all of your electrical work is completed up to code. We’re standing by to provide quality, honest work.